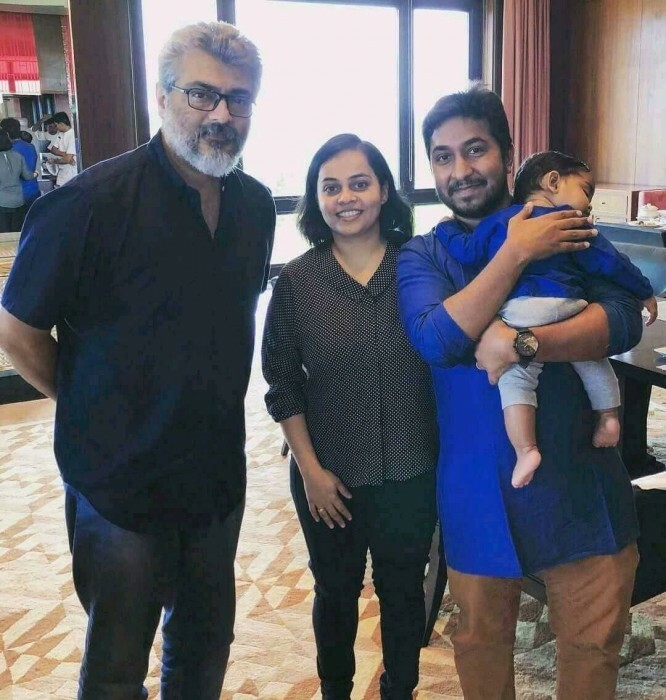 Vineeth Sreenivasan met Ajith and spend some time with him.And, needless to say, he enjoyed the experience a lot. There can be no denying that the popular and highly-talented Ajith Kumar is one of the most bankable and celebrated names in Tamil cinema today. During his highly illustrious career in Kollywood ,‘Thala’—as his fans like to call him—has won the love of movie goers thanks to his classy personality, stunning performances and affectionate nature. Furthermore, he has delivered several smashing hits and proved that he is a dependable name in the purest sense. Now, he is in the limelight for a wonderful reason. As it so happens, Malayalam singer-actor Vineeth Sreenivasan just took to Twitter and shared a pic with his ‘followers’. 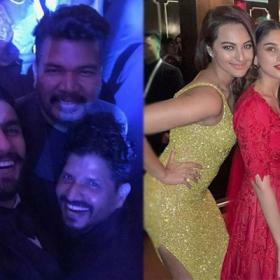 In it, he and his wife can be seen posing for a snap with the actor. They had apparently called on him and spent some time with him. 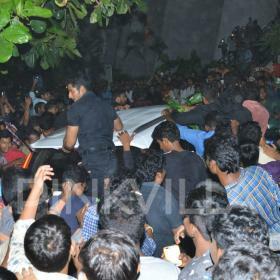 As expected, Ajith looks happy and seems to be enjoying their company a lot. On a related note, 2017 was a busy year for Ajith. His big release Vivegam opened to a fairly good response at the box office in August and received decent reviews from the critics. A spy-thriller, it was directed by Siva and featured him in a beefed up new avatar. The film also had Kajal Aggarwal and Bollywood actor Vivek Oberoi in key roles. At present, Ajith has Viswasam in his kitty. It marks his fourth film with Siva and has K-town’s ‘Lady Superstar’ Nayanthara as the female lead. It is likely to be quite different from their previous films. As it so happens, Siva shares a rapport with Ajith and has often extracted the best from him. Last year, Siva had said that he does not get overwhelmed by Ajith’s stardom and simply focuses on doing his job. “While working on a film, I don’t really get worked up, thinking about people’s reaction. I give my 100% to the movie. I am truthful to what I do. Hence, I think hard work pays. Moreover, I am a strong believer and am sure that God blesses those who work hard. I think the results come naturally,” he had added. So, did you like this photo? Tell us in the space below.